Denise here again! Sharing where to eat in my hometown- enjoy! Chicago is truly a foodie’s paradise. There are so many restaurants – from take-out-only hot dog stands, to the ultimate in fancy-schmancy gastronomy – it’s hard to have a bad meal in this city. 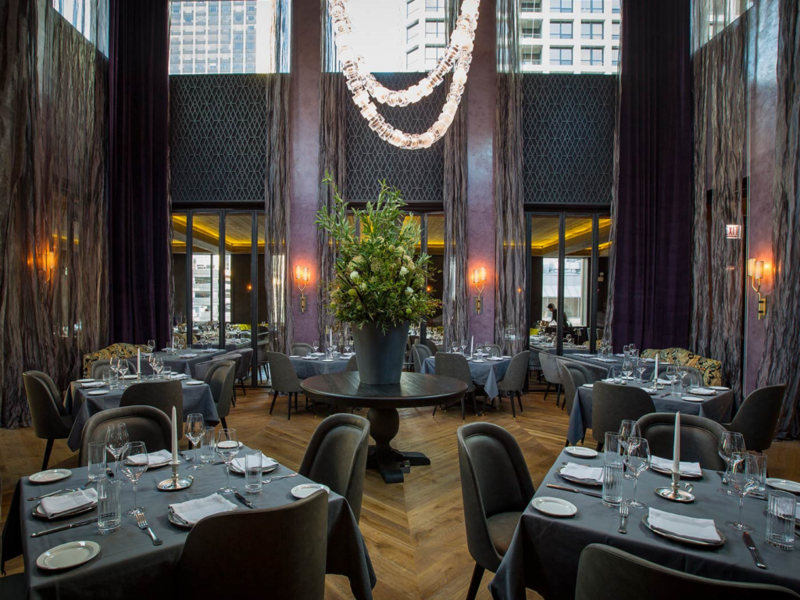 And although there are plenty of health-conscious restaurants, Chicago is truly a place to eat food with gusto and enjoy every single bite. 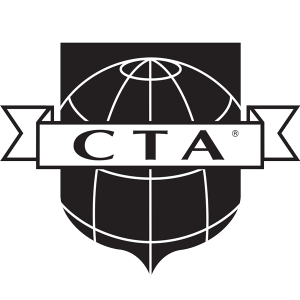 So when you come to the Windy City, don’t forget to bring your appetite (and some stretchy pants)! 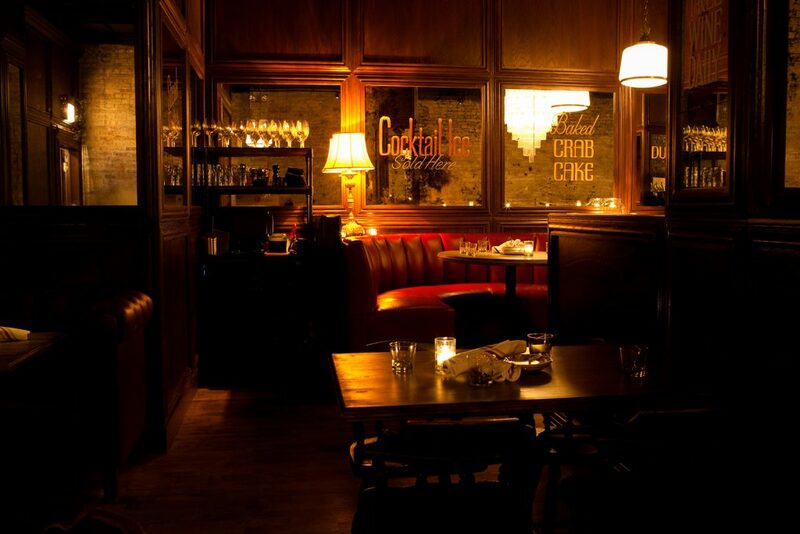 Au Cheval – Au Cheval calls itself a “diner”, but don’t start picturing red plastic booths and formica table tops. While still casual, it’s definitely several steps above your usual greasy spoon – boasting foie gras, roasted bone marrow and chopped chicken liver as a few of their appetizer options. 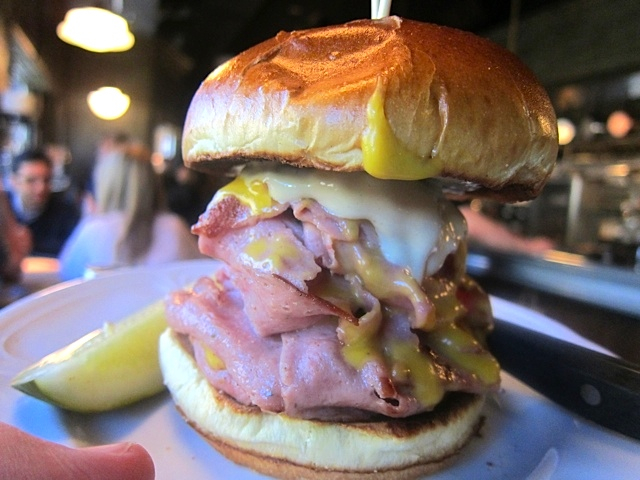 Their burgers are to die for, but my go-to is their fried bologna sandwich. Yes, you read that correctly…but believe me when I say that their bologna’s first name is definitely not O-S-C-A-R. You can’t make reservations here, so either get there early or at an off-time, or just be prepared to wait. Bavette’s Bar and Boeuf – Another thing Chicago knows how to do well is steak. At Bavette’s, they do it REALLY well. This upscale restaurant is anything but stuffy, and has a sort of old-time feel to it. You almost expect Frank Sinatra or Al Capone to walk in and take a table. The steaks here are mouth-watering, but there are other very good options on the menu like chicken, lamb and pork. Reservations are a must. Maple & Ash – If you are looking for a truly unforgettable dining experience, this restaurant fits the bill (no pun intended). Your wallet will take a serious hit, but if you are looking for something to knock your socks off – this is it. The ambiance is spectacular. The menu is extensive, with many steak and seafood options, plus a bunch of not-your-average sides – including roasted bone marrow. Their dreamy “beverage program” has been put together by a James Beard Award-winning sommelier (have a drink or two in the bar downstairs). Plus, how can you not love an upscale restaurant that has a menu option called “I Don’t Give A F*@k”, where your server decides what you eat? Reservations are a must. 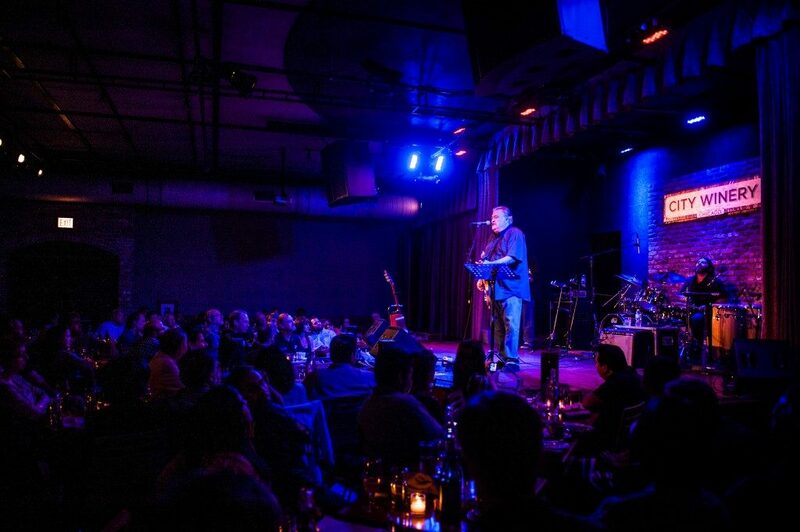 City Winery – I love this place. There are two parts: the restaurant proper, and then another room that is for musical performances. I have actually never been in the restaurant, since each time I’ve gone there, it’s been for a “concert”. Seeing a current big name artist here is not likely going to happen, but there are a lot of indie performers and also those that were once bigger names than they are now (I feel bad saying that, but it’s true). For example, Los Lonely Boys and Kris Kristofferson are two of the upcoming artists. While watching the show, you can enjoy heavy appetizers (all the food I’ve had here was very tasty) and lots of really good wine. Overall, it’s just a really fun time. Definitely get your tickets ahead of time. Devil Dawgs – One of the best places to enjoy a true Chicago-style hot dog. Not sure what that means exactly? Well, it’s an all-beef hot dog served on a poppy seed bun, topped with yellow mustard, chopped onions, a sweet green relish (that looks radioactive but isn’t), dill pickle spear, tomato wedges, sport peppers and celery salt. DO NOT ASK FOR KETCHUP ON YOUR HOT DOG. Trust me on that, okay? 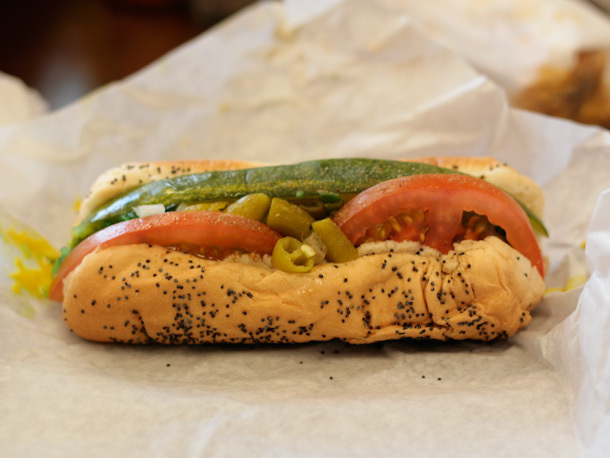 They’ve got a bunch of other items on the menu, but you’re in Chicago – stick with the classic. 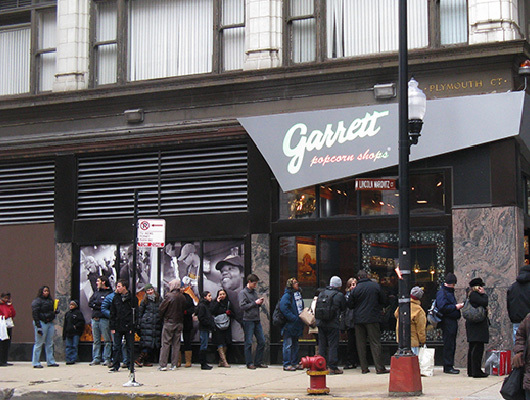 Garrett’s Popcorn – Oh, Garrett’s. I grew up with Garrett’s and will love it until the day I die. You will never look at popcorn the same after you eat this. You will likely have a bit of a line to stand in, but even if it’s a mile long, it’s worth the wait. The smell of freshly popped, hot caramel and cheese popcorn wafting out the doors will sustain you as you inch toward the counter (though you may want to bring a tissue for your drool). Get the Garrett’s Mix. Again, trust me. There are so, so, so, SO many places to eat in Chicago. Every type of ethnic restaurant you can imagine, vegan restaurants, kid-friendly, romantic, anything and everything you can imagine. 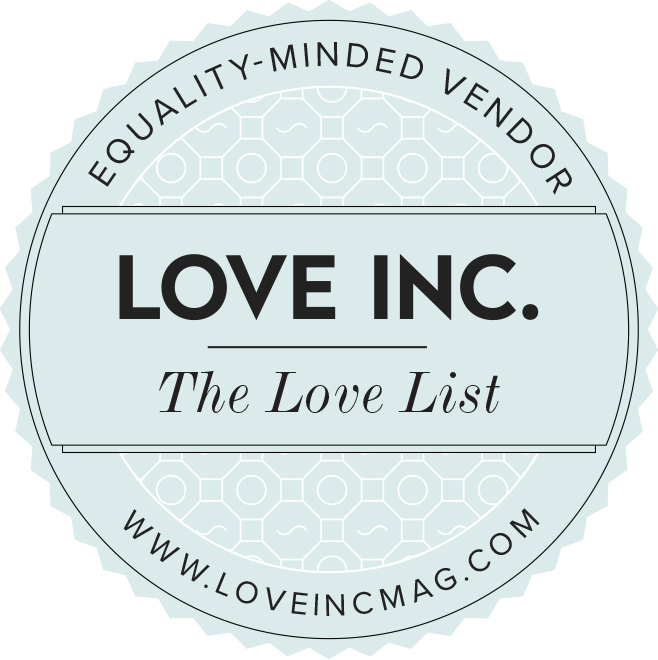 What I’ve listed above are just a very tiny tip of the iceberg – do some research before you go and pick a handful that look really good to you – then just tuck in and enjoy!